Fly fast, train hard, and learn well to become the Ultimate Dragon Trainer! Join Chief Hiccup and Toothless and embark on the thrilling adventures of DreamWorks Animation’s ‘How to Train Your Dragon’. Play with your friends and explore mysterious worlds in this action-packed learning experience! Rescue, hatch, and train Dreamworks Dragons, defend New Berk and the Hidden World, and battle Grimmel and Stormheart in the ultimate dragon adventure! 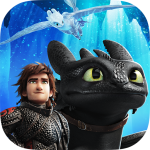 • Train, fly, and customize over 60 of your favorite Dreamworks Dragons from the movies including Toothless, Light Fury, Stormfly and Deathgrippers. 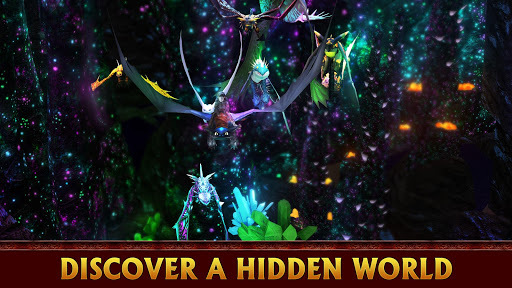 • Customize your dragons with thousands of colors and skins, so no 2 dragons look alike! 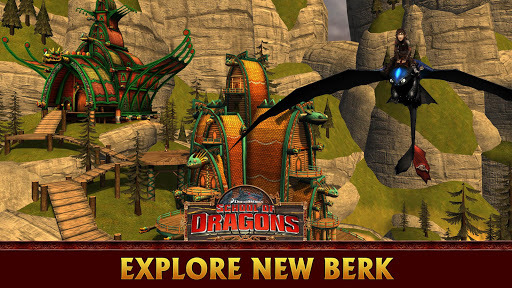 • Fly dragons and race against your friends in over 30 courses! • Hatch and collect dragons in your stables and send them out on dragon missions to bring back treasure and loot! • Venture across 30 islands and lands and embark on epic quests and more! • Meet new characters and adventure in new story lines in our 8 expansion packs and over 400 quests! *This app offers 4 membership subscription options: $9.99 /month, $24.99 /3 months, $47.99 /6 months, and $84.99 /year. ** Membership Subscription will auto-renew, and the account will be charged for renewal within 24-hours prior to the end of the current period. Auto-renewal may be managed and turned off by going to the user’s Account Settings after purchase. Subscription automatically renews unless auto-renew is turned off at least 24-hours before the end of the current period. PLEASE NOTE: School of Dragons is completely free to play, but offers game content, customization options, and items for purchase with real money. If you choose not to use this feature, you can disable in-app purchases through your device’s settings.